In the first of three extracts from the 3rd edition of Magazine Editing, published by Routledge, I talk about some basic considerations in drawing up social media policies. If you are aware of any particularly good or bad examples of social media policies in the magazine industry, I’d love to know. A policy need not be particularly restrictive – the key is that everyone is clear what is acceptable (and in some cases, what is encouraged, or ‘best practice’), as well as what to do in particular situations (such as when they receive abusive or offensive messages). There are plenty of examples to look at online, including a database of social media policies at socialmediagovernance.com/policies.php – key issues for you as a publication are making all journalists aware of legal risks such as defamation, contempt and copyright (which they might normally otherwise think sub-editors are covering) and professionalism (for example, posting inappropriate images on an account they used for professional purposes). Also worth considering carefully are the areas of objectivity and impartiality. US publications are a lot more anxious about their journalists being perceived to be anything but completely neutral in all affairs, leading to some policies that would appear draconian to the more opinionated Brits. Neutrality, however, is different to objectivity (which is rather more complicated but comes down to a process based on facts rather than simply creating an appearance of balance through presenting conflicting beliefs), and well informed opinion is a key feature in most magazines. You want to allow your writers to play to their strengths and find their natural ‘voice’ on social media platforms (institutional voices do not work well here), while also guarding against ill-considered comments that might be used against the publication. What other issues should a social media policy cover? And why should a magazine have one? This entry was posted in blogging, regulation, social media, user generated content and tagged impartiality, magazine editing book, objectivity, policies, professionalism on December 16, 2011 by Paul Bradshaw. The Post’s own media reporter Howard Kurtz poked fun at the incident with this tweet: “I will now hold forth only on the weather and dessert recipes.” He then gave a half-hearted, almost contrived endorsement to his organization’s policy, calling the furor surrounding the incident “much ado about nothing” while emphasizing that social media are important channels for communication with readers. The newspaper’s technology writer Rob Pegoraro was also quick to insist that journalistic interactions through social media are indispensable. It is hard to deny the fact that opiners are neatly divided between journalists and news organizations–in other words—between those that use social media and those that want to regulate it. For instance, Post political reporter Chris Cillizza, whose Twitter account, “The Fix” is named after his blog at the paper, entertains readers not only with snarky political comments but also by finding humor in life’s little trials, and his Twitter page has been surprisingly—and comfortingly—unhindered by all the drama. If his tweets were to trickle down to news article URLs in keeping with the Post’s new regulations, I wouldn’t follow him. It’s safe to say, neither would 14,540 others. 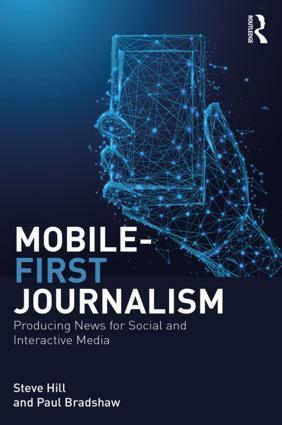 Apart from confidential sources that any journalist would be expected to protect through sheer common sense, social media interactions with reporting contacts can only serve to enrich the exercise of newsgathering, and allow a more transparent process while at it. Continuing in the same vein of going against the grain of journalistic transparency, the WSJ guidelines also insist that reporters not “detail how an article was reported, written or edited.” Social media guru Jeff Jarvis rightfully points out that these rules challenge the very idea of the collaborative nature of journalism that is promoted by online media. The AP’s rules came in the aftermath of one of its reporters posting a critical comment about the McClatchy newspaper chain on his Facebook profile. Mashable’s Ben Parr expressed rightful outrage at this, pointing to the ridiculousness of holding an employee accountable for another individual’s words. Also reasonable are rules curbing the sharing of confidential company information. “Posting material about the AP’s internal operations is prohibited on employees’ personal pages” is acceptable as a standard for all staff members at an organization, not exclusively for journalists. This was one of the reasons why the NYT found itself in a tight corner earlier this summer, when its reporters tweeted about internal discussions at the paper. The Times’ social-media rules are actually more reasonable than most, merely asking reporters to avoid conflicts of interest, maintain political impartiality, and exercise good judgment. And while that is perfectly reasonable, Jennifer Lee, one of the tweeters from the meeting insisted that there is often something to be said for sharing internal information about your news organization with your audiences. For instance, her tweet about Times’ Pulitzer winners was not only acceptable, but also good for the paper, she said. Are readers excited to learn these nuggets of information directly from journalists they follow? Sure, it’s certainly more personal than reading a press release. And when the news is about the organization itself, it is especially helpful to hear employees’ unfiltered opinions. If not for Twitter, I probably would have had no way of knowing what Howard Kurtz thought about the Post’s regulations. Where the Times went a bit far in its regulation was Bill Keller’s insistence that tweeting policies should follow what was already being implemented with regard to what reporters say on television or speeches: anything said was representative of the entire institution. This seems reasonable till you consider that Twitter is a “personal-social” page. It is not like appearing on television to talk about your thoughts and viewpoints on an issue as a reporter from the NYT might be expected to on Meet the Press. Along the same lines, Rob King, Editor in Chief of ESPN.com, called Twitter a “live microphone.” The site’s guidelines state that “editorial decision makers (such as reporters and writers) essentially represent ESPN in all social networks, and hence, should exercise appropriate judgment (this is as opposed to policies for the rest of ESPN’s staff who may extricate themselves from ESPN affiliation in personal blogs). This is significant. What a journalist says in a tweet cannot be similar to what would appear under a byline or on live television or on radio. Social media don’t operate strictly within the sphere of the workplace. Social media are part of what journalists carry home with them; it is where they ought to be able to express views wholly unrestrained by the rigid rules of traditional journalism. It is also where they delight their readers with a goofy tale about their dog and the latest controversy unfolding on Capitol Hill with equal aplomb. A distinction should be made (as is done in the business world) between “individual” tweeters, and tweeters who tweet “under the umbrella of an organization.” Corporate policies on social media separate the personal from the professional, and hence are less restrictive on an employee’s right to tweet or blog. By these standards, @washingtonpost would clearly cross the line by tweeting about enforcing a term limit on senators such as Mr. Byrd, but @rajunarisetti was entitled to his opinion. As individual tweeters, journalists should not “relinquish some of the personal privileges of private citizens,” as the Post guidelines require them to. The BBC, perhaps comes closest to adopting this sort of hands-off approach to the use of “personal” social media by its reporters: “Many bloggers, particularly in technical areas, use their personal blogs to discuss their BBC work in ways that benefit the BBC, and add to the “industry conversation”. This editorial guidance note is not intended to restrict this, as long as confidential information is not revealed.” In addition, it excludes “personal” blogs from the guidelines, as long as no affiliation to the BBC is mentioned, and even encourages employees to include a disclaimer. It does, however, specify that editorial staff “should not be seen to support any political party or cause.” It also warns employees to discuss “any potential conflicts of interest” with managers and editors. This is a common theme among regulations cited by all news organizations. Perhaps, if a reporter did not share on his social network opinions and viewpoints on subjects he was reporting on, that would be acceptable. But then again, is unadulterated objectivity on a subject a journalist has studied closely, even possible? As James Poniewozik writes, “any person who immersed him or herself in a vital, contentious subject all day and formed no opinion about it whatsoever would be an idiot, and you do not want to get your news from idiots.” And if he does have an opinion, is it in keeping with journalism’s goals to shield it? Not surprisingly, organizations that appear to be least restrictive of journalists’ use of social media are also the ones that have embraced social networks to effectively disseminate information, engage with the audience, and promote content, such as the BBC and the New York Times, and NPR, which is touted by many as the most effective user of social media, most notably, Mashable. Alan Rusbridger, Editor-in-chief of the Guardian, another organization known for its utilization of social media tools for citizen journalism and crowdsourcing, has perhaps been most convincing in his ringing endorsement of journalists’ use of such networks to interact, engage and impart information. He has clearly stated on the site’s editorial pages that one of the advantages of Twitter is that it allows reporters to publish, unhindered by the confines of the newspaper and its Web site. This is also reinforced in the site’s social media statement, which promotes the idea of an open forum that promotes all forms of social networking interactions with readers. Any set of reasonable rules for social media, then, are more common-sense parameters than anything else. And one would hope that journalists would be smart enough to not broadcast something on Twitter that would jeopardize their own credibility, alienate audiences, or embarrass their organizations. 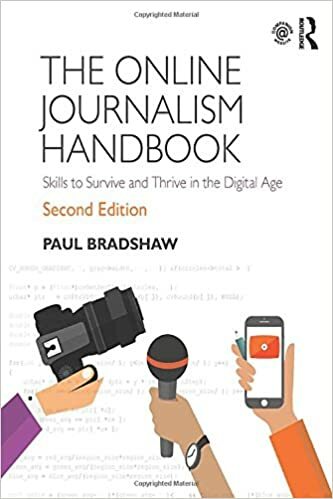 This entry was posted in online journalism and tagged Alan Rusbridger, BBC, ESPN, Guardian, journalism rules, karthikaswamy, New York Times, objectivity, policies, social media, Washington Post on October 6, 2009 by Paul Bradshaw.